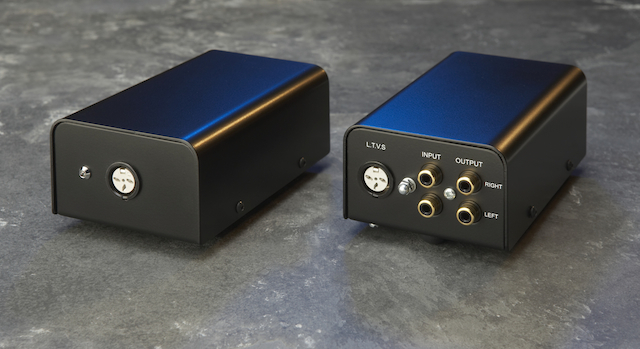 The Stage Two offers true high-end phono amplification in a compact, heavy weight, minimalist two box design. Separating the amplification from the power supply helps reduce interference and increase resistance to pick-up noise. The single input accepts both Moving Magnet and Moving Coil cartridges. Input selection is internal together with adjustments for 47K, 100 and 470 ohm impedance settings. 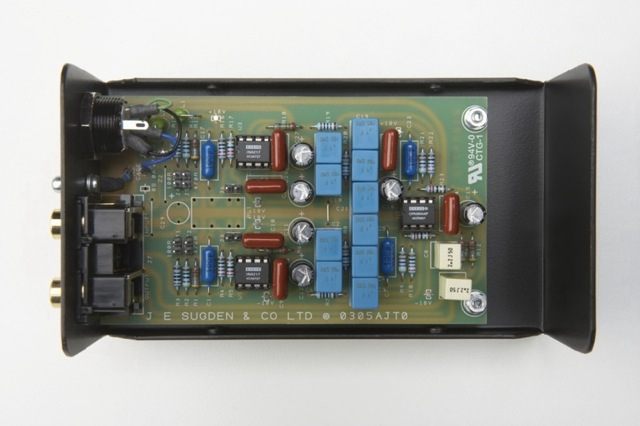 The input of the Stage Two is a low noise, low distortion instrumentation amplifier. Current feedback circuitry achieves wide bandwidth and an excellent dynamic response. The circuit has been combined with a dual FET-input, low distortion operational amplifier with superb dynamic response and low noise. The amplifier is mains operated. Inputs -Moving Magnet, Moving Coil andLTVS power in. 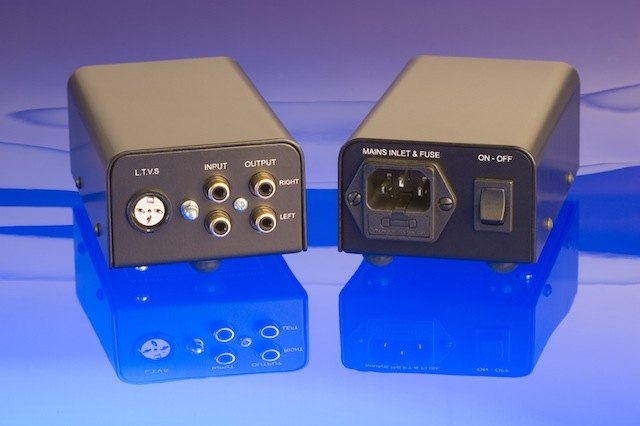 Outputs – Fixed line level output. Gain adjustment – Internal selection for Moving Magnet or Moving Coil. Load Adjustment – Internal for Moving Coil 100 and 470 Ohms. Moving Magnet fixed load 47k. Earth terminal – Screw type. External power supply -Mains powered. Input sensitivity – Moving Magnet 3.0mV, Moving Coil 0.15mV. Frequency response – 20Hz to 20kHz +/-1.5dB. Signal to noise – >64dB. 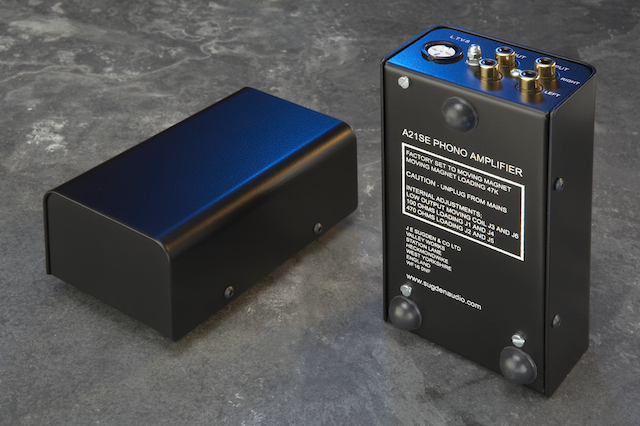 Dimensions -Phono amplifier 60mm x 140mm x77mm (HDW) & Power supply 60mm x 140mm x 77mm (HWD). 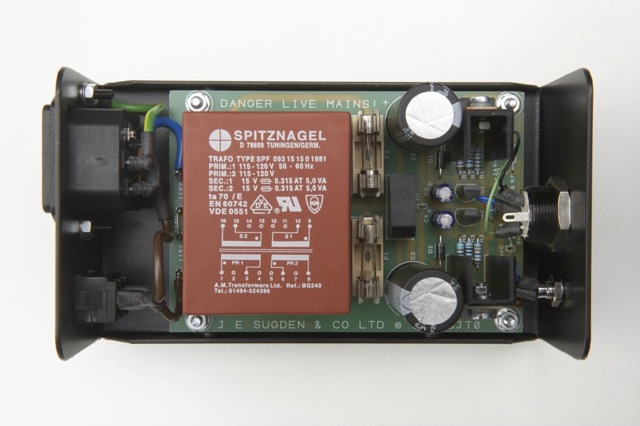 The A21SE Stage Two has a mains power supply and cannot be operated by the A21SE LTVS. Recommended Retail Price – AUD$1,095.00.